Nobody enjoys going to hospital, but the Cardiff NHS Trust has found a way to make the experience even less pleasant. 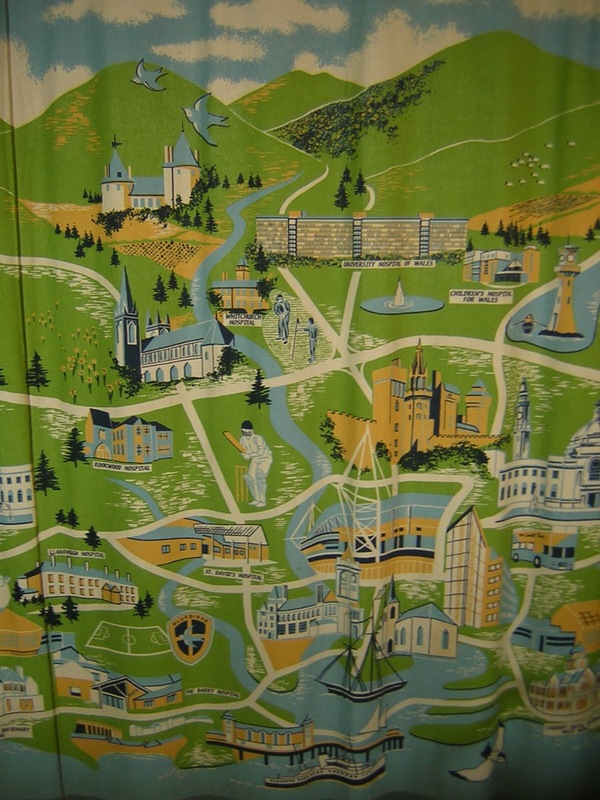 All the bedside curtains in the hospital have this lovely map of local landmarks printed on them – I’m not sure where to start with how wrong it all is. The colour scheme is not very easy on the eye, and because only three shades are in use, Castell Coch (Red Castle) has ended up being sky blue. Here they all are, in their correct positions. Ok, I’m happy now. On the way home the other night, we passed the great crane yard outside Sheffield. I’ve always loved this place, even before I had kids and got used to pointing out every backhoe loader, paver, and steamroller I saw. You never usually see so many cranes together in one place, but I suppose they have to go somewhere when they’re not in use and this must be it. It’s even more of a sight around Christmas, when the tallest cranes are covered in fairy lights. The coloured, mosaiced chimney of the old Fine Fare at the junction of the M6 and M62. 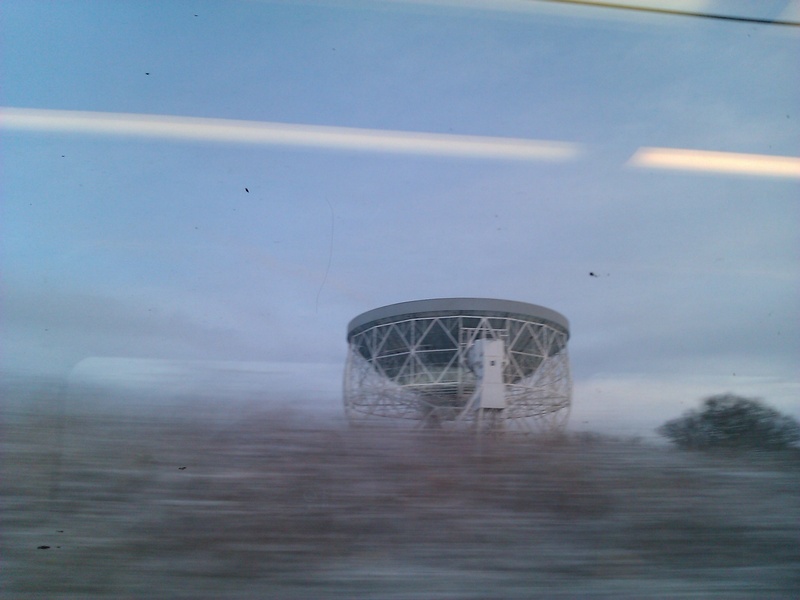 It’s not there any more, but I still imagine it every time I go past. Fort Dunlop, Birmingham. Still there, but turned into trendy apartments, happens so often these days. The Trow Pool water tower on the M40. Heathrow airport. I love how the planes go roaring right over your head as you pass. Open the windows! …and Stokesay Castle, a fabulous, 13th Century fortified manor house. We took a detour to visit once and it’s highly recommended. Feel free to share any of your favourites! Everyone seems to have a blog these days, and this is mine. I’ll mostly be talking about maps and GIS, in particular label placement. There’s a good chance I’ll get onto other aspects of science, technology, photography, chemistry, and random observations. Or maybe this will be the last post. Who knows? Filed under Is this thing on?